Going out shopping, or having lunch with friends? 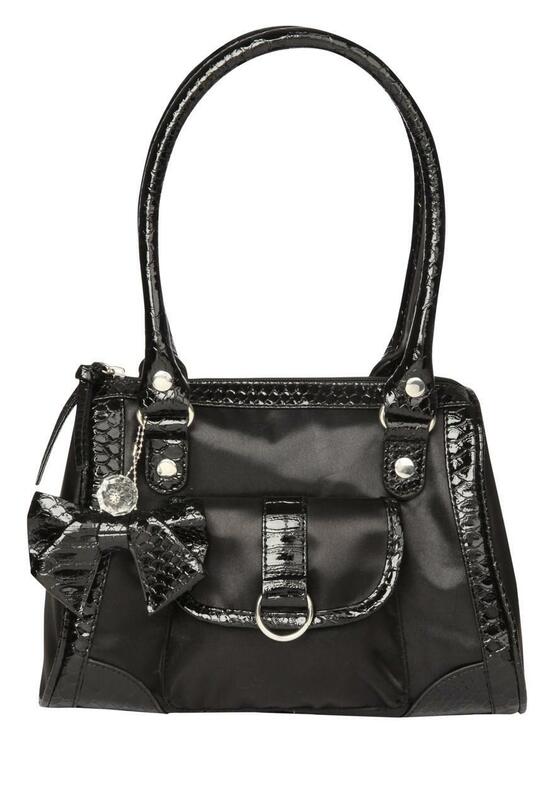 Whatever the occasion this cute Womens satin bowler bag is perfect. 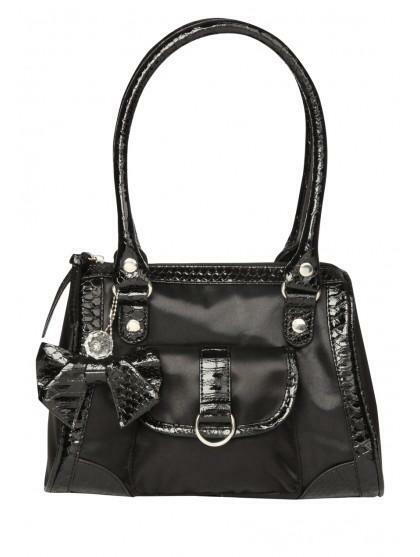 Add some sparkly to your bag collection with this bag featuring a faux croc trim, stain body and cute bow and keychain.